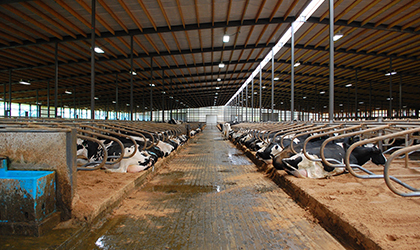 An industry leader in cow comfort products, Artex Barn Solutions is a team of dedicated dairy professionals. We’ve spent years developing a complete line of Comfort Zone™ products, from freestalls and headlocks to ventilation and cow cooling solutions. 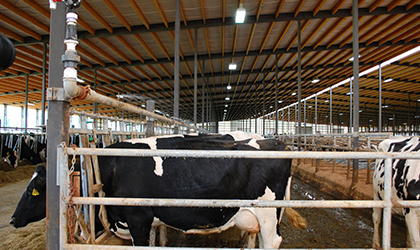 Our goal is to provide a holistic approach to cow comfort that looks at all the elements of a cow’s environment from stabling requirements to air quality. 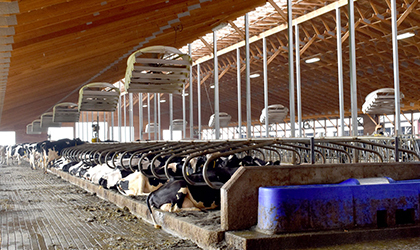 We strive to provide complete solutions that meet the unique needs of each facility we work with, reducing herd health issues and costly vet visits, and most importantly increasing productivity. Contact Artex for more information on their “Comfort Zone”™ products. The Artex Comfort Zone™ philosophy is based on one simple fact: the more a cow lays down, the more milk she produces; the more milk, the more money you make. Our products are designed to encourage the natural behaviours that that improve cow health and increase milk production. We provide high-quality cattle handling and ventilation products that stand up against the test of time, protecting your investment long term. 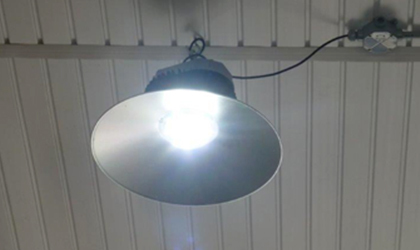 A selection of product photos from Artex Barn Solutions. investment. We’ve done it all over the world, and we can do it for you too!